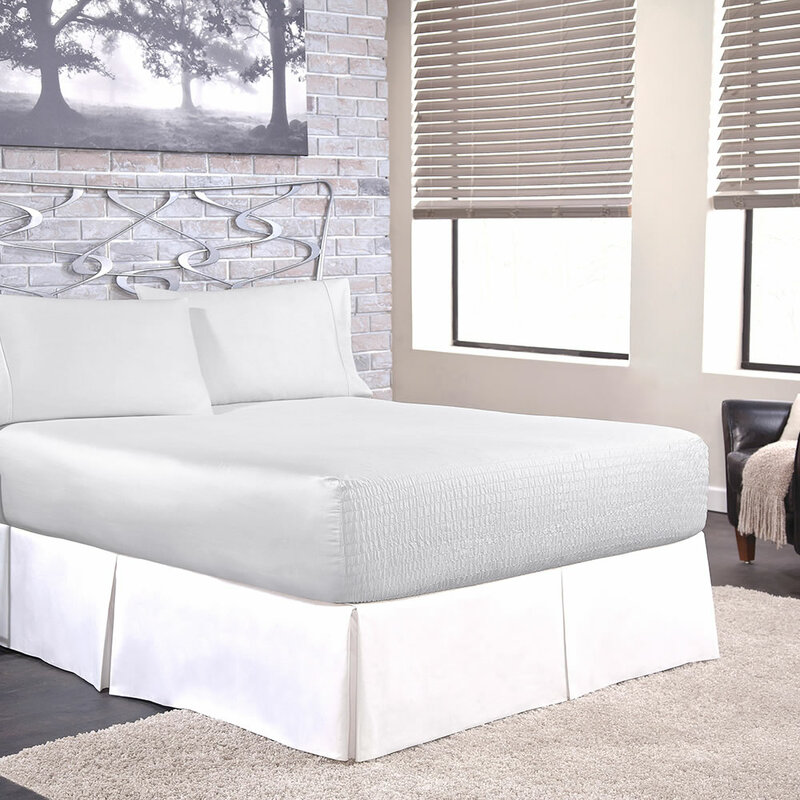 This 1,500 thread count sheet set features a fitted sheet with a patented skirt that holds it in place no matter how you toss and turn. 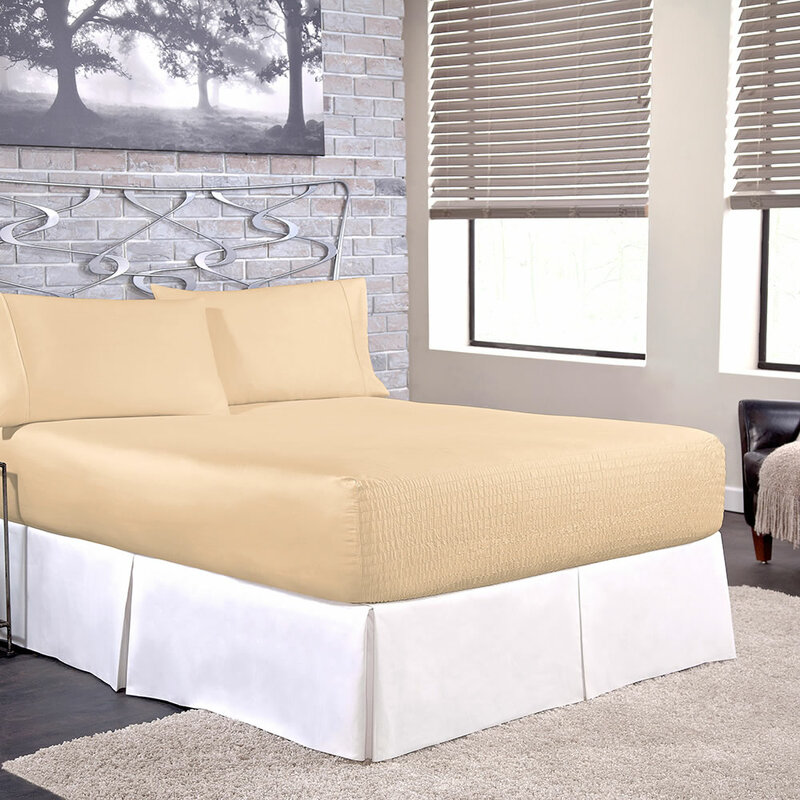 Unlike typical fitted sheets which easily pull off the mattress, this one-piece, seamless sheet has a wide band of high-quality elastic on the head and foot that never loses its grip. Made from a wrinkle-free blend of 55% long staple cotton and 45% polyester that provides a high luster and soft touch. Fits mattresses 7"-20" thick. Set includes fitted sheet, flat sheet, and two pillowcases. Imported. Machine wash and dry. 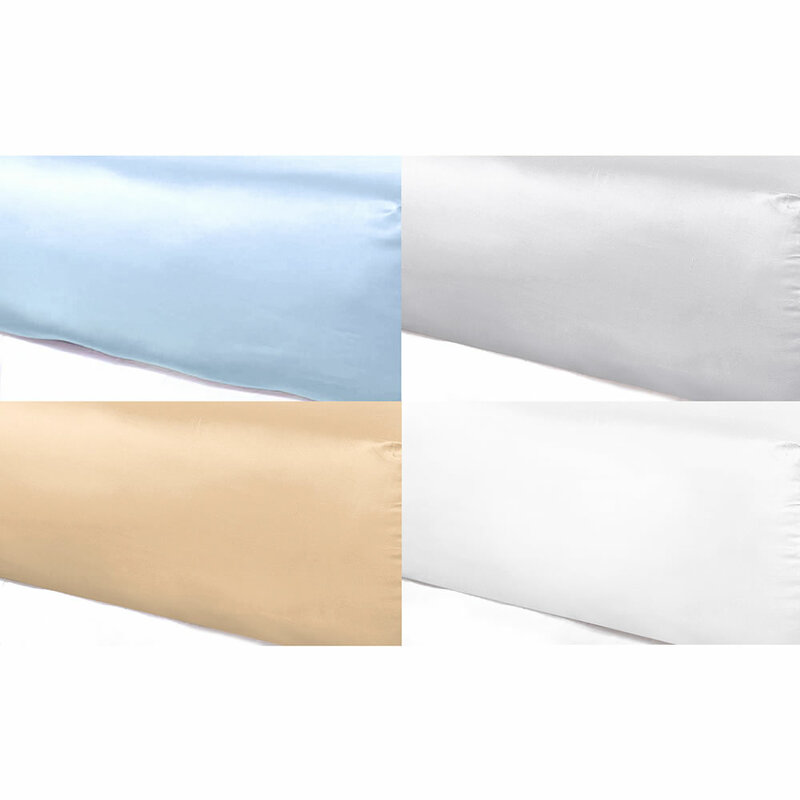 Light Blue, Silver, Tan, or White.